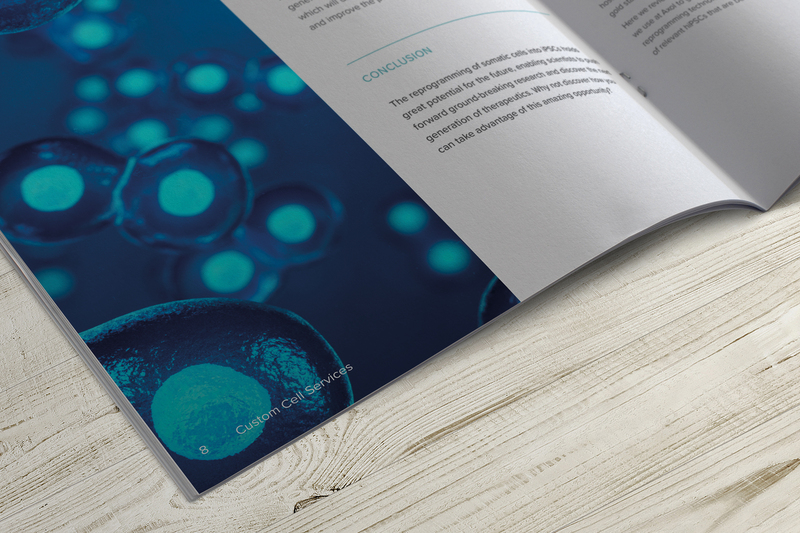 Having been approached in 2017 to rebrand their company, Identity have been delighted to design new and updated marketing literature for Axol Bioscience. Axol Bioscience are based closely to the Identity studio at Chesterford Research Park. 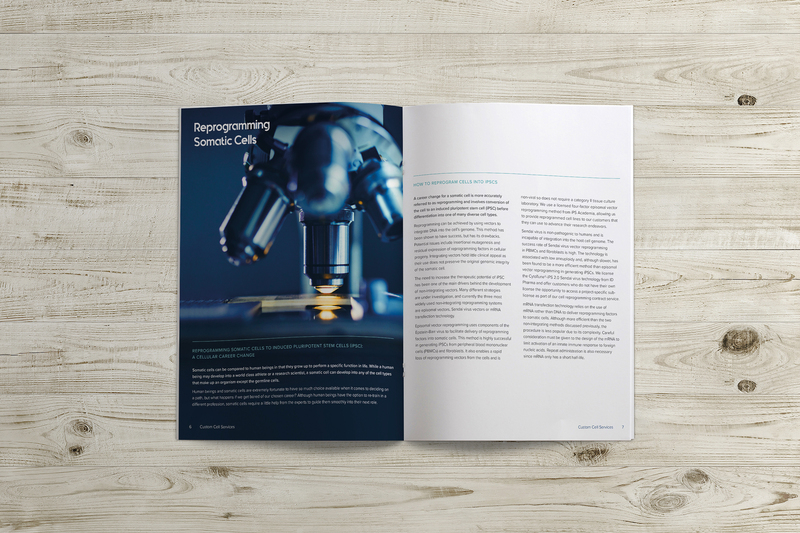 Axol are human cell culture specialists, providing primary cells and iPSC derived cells with a wide range of functionally and physiologically, disease relevant backgrounds, together with optimised media and growth supplements. All of which are suitable for assays in basic life science research, drug discovery and toxicology assessment. 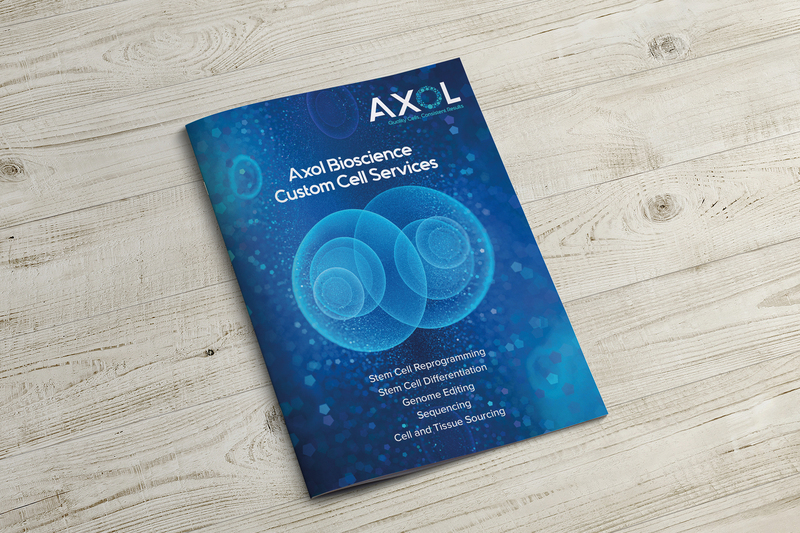 Identity’s most recently completed work for Axol was their ‘Custom Cell Services’ brochure, which gives potential clients a clear breakdown of the exceptional service Axol offer. Identity chose an updated and strong visual style featuring full page images and dynamic layouts to really take Axol’s literature to the next level with a view to really engage the audience. To find out more about Axol and the services they offer please visit axolbio.com. As always, Identity Creative remain open to discussing all projects of all sizes. Find out how we can help you bring your brand to life and take it to market with a swift and efficient service by contacting us on hello@identitycreative.co.uk.